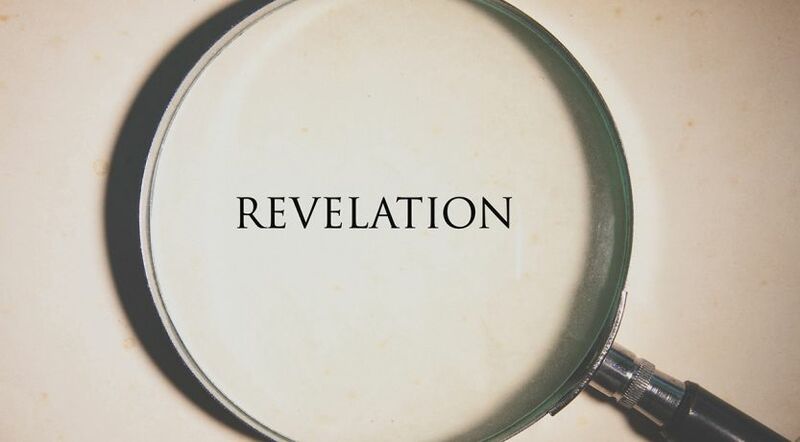 To many people, the book of Revelation is the most mysterious and enigmatic book in the whole Bible. What is its purpose? What does it mean? As part of Scripture, the book of Revelation was “given by inspiration of God” (2 Timothy 3:16). Therefore, this book contains information God intends to disclose or reveal to humans, rather than conceal from us. 1. Who is the author of the book of Revelation? “The Revelation of Jesus Christ, which God gave Him. … And He sent and signified it by His angel to His servant John” (Revelation 1:1, emphasis added throughout). God the Father is the author, and Jesus Christ is the One who gave the revelation to an angel to give to John. It is not—as some Bible translations may say in a subtitle—the revelation of John. John was simply the person who recorded the message. 2. Why—and to whom—did Christ give this Revelation? The beginning phrase of the verse quoted above continues, “… to show His servants—things which must shortly take place” (Revelation 1:1). And who are Christ’s servants? “And that You should reward Your servants the prophets and the saints” (Revelation 11:18). The prophets of God span the time periods of both the Old and New Testaments of the Bible. The “saints” are those who have obeyed and served God through the ages and who also comprise Christ’s New Testament Church. So Christ revealed the information in the book of Revelation to show His faithful, obedient servants things that will happen in the future. The word “shortly” in verse 1 actually means “in haste” or “with speed.” In other words, whenever these events begin to happen, they will transpire at a rapid pace. 3. Who did Christ convey or dictate this disclosure to, with the charge of relaying it to Christ’s servants? “And He sent and signified it by His angel to His servant John” (Revelation 1:1). Christ is also called “the Word” of God (John 1:1); that is, He speaks not only on His own behalf, but on behalf of God the Father. The word “angel” in Revelation 1:1 is translated from the Greek word aggelos, which means “messenger” and can mean either a spirit or human messenger. In this case, it refers to a spirit being. As the last chapter further explains: “I, Jesus, have sent My angel to testify to you these things in the churches. I am the Root and the Offspring of David, the Bright and Morning Star” (Revelation 22:16). This revelation was “signified”—declared or made known—to the apostle John, as Christ’s human agent responsible for transmitting it to Christ’s servants on earth. It was about A.D. 94 or 95 when John received this revelation while on the island of Patmos (Revelation 1:9). 4. To whom did John initially deliver Christ’s revelation? “John, to the seven churches which are in Asia” (Revelation 1:4). Christ then told John, “What you see, write in a book and send it to the seven churches which are in Asia: to Ephesus, to Smyrna, to Pergamos, to Thyatira, to Sardis, to Philadelphia, and to Laodicea” (Revelation 1:11). These seven cities were all on a mail route in the first century, and there was a congregation of God’s Church in each city. However, at the time there were congregations of God’s Church in many other cities as well, so apparently these seven were chosen to represent all of Christ’s servants and congregations. We then see that in chapters 2 and 3, prior to the beginning of the actual revelation of end-time events, Christ has a personalized message for each of these seven congregations. The history of God’s Church through the centuries is a fascinating story; but to condense what we see in these two chapters, Christ chose each successive congregation (as it fell in order on the mail route) for its unique characteristics that would also be the predominant characteristic of His whole Church at a particular period in time. These periods of time, or eras, began with the characteristics of Ephesus in the first century and continue through the characteristics of Laodicea in the end time, prior to Christ’s return. An additional concept to understand about these seven churches is that the problems the members of each congregation faced are similar to the problems Church members would face throughout history. Christ plainly tells each congregation, “He who has an ear, let him hear what the Spirit says to the churches” (Revelation 2:7). No matter what the age, God’s people must listen to and obey His instructions as found in each of the admonitions to the churches. 5. How is the book of Revelation laid out? Is there any logic or pattern to its contents, chapter by chapter, that we can see in outline form? Yes! In fact, seeing the main subjects laid out in outline form can help us grasp the big picture being disclosed by Christ in the book and help us understand the contents better as they fall within these main subjects. Although there are occasional sections providing supplemental information in a broader, historical perspective, in general, the information is presented in chronological order. The book begins with Christ’s messages to the seven churches (chapters 1-3). Next, we notice a scroll being presented to Christ in heaven (chapters 4-5). This scroll is sealed with seven seals (Revelation 5:1) and contains the details of what will happen before and after Christ’s return. We see that Christ Himself is the only One qualified to open the seals of the scroll, revealing its contents. Think of a continuous roll of writing paper with a strong adhesive seal preventing you from unrolling the paper. If you open the seal, you find writing on the paper and you can unroll and read it until you hit a second seal. Of course, the first seal is still open when you open the second seal. This is an important key to understanding the book. The seals are consecutive in time order; and once a seal is opened, it remains open to the very end! 6. What are these seven seals on the scroll about? They reveal details of major events leading up to the return of Jesus Christ and even after. In brief, the first six include four symbolic horses (sometimes called “the Four Horsemen of the Apocalypse”), great tribulation and heavenly signs. Although the fulfillment of the first four of these seals has been ongoing since the time of Christ, they will intensify prior to Christ’s return. The great tribulation and heavenly signs are yet to occur. To help you visualize how the contents of the book, including the seven seals, seven trumpets and seven plagues, are presented by Christ, see the chart below. The seventh seal is also known as “The Day of the Lord.” We can see that the events within this seal are mirrored in other prophecies recorded in Isaiah 2:12; Isaiah 13:6, 9; Ezekiel 30:3; Joel 1:15; Joel 2:1, 11, 31; Obadiah 1:15; Zephaniah 1:7-8, 14; Zechariah 14:1; Acts 2:20; and 2 Peter 3:10. By seeing the predominant subject matter of the book—the seventh seal, also known as “the Day of the Lord”—we know that “the Lord’s Day” in Revelation 1:10 is simply another way of phrasing “the Day of the Lord.” In either form, it is important to realize that mankind has had his “day”—going his own way, apart from God—for thousands of years now. And God has stood back and permitted man to build his own civilizations and do as he pleases on this earth, largely without intervening. But the day is coming when God will begin to intervene on a global scale in order to begin ruling over this earth and to establish His Kingdom upon it. It will then be His (the Lord’s) day and no longer man’s day to do as he pleases. And so we see that God’s day—“the Lord’s Day”—will begin after the sixth seal concludes. God will be intimately involved from then on, all the way through to Christ’s return to this earth and His rule upon the earth for 1,000 years (the “Millennium,” Revelation 20:4, 6) and then through the Great White Throne Judgment period (Revelation 20:11-15), the arrival of the New Jerusalem upon the earth (Revelation 21) and beyond! 8. What are the seven trumpets of Revelation? As we see in the outline and chronological flow of the book, the seven trumpets are within the seventh seal. Again, the seventh seal is also called the “Day of the Lord,” which will begin with Christ gradually taking control of the earth. The seven trumpets are actually phases of plagues and warfare, during which Christ progressively administers judgments upon stubborn and rebellious mankind. But even after punishment, there will be a pattern of refusal to repent. “But the rest of mankind, who were not killed by these plagues, did not repent” (Revelation 9:20). And so God punishes more severely, with more plagues. “And they blasphemed the name of God who has power over these plagues; and they did not repent and give Him glory” (Revelation 16:9). Again, God administers punishment and again mankind refuses to repent. “And they blasphemed the God of heaven because of their pains and their sores, and did not repent of their deeds” (verse 11). 9. What are the seven plagues of Revelation? These are within the seventh trumpet. Again, see the chart below. 10. What does Christ intend we do with this information He has revealed? “Behold, I am coming quickly! Blessed is he who keeps the words of the prophecy of this book” (Revelation 22:7). The instructions Christ gave in His letters to the seven churches, as well as in the rest of the book, contain sobering reminders to remain loyal and obedient to God no matter the pressure to the contrary (even “until death,” Revelation 2:10; Revelation 12:11), to overcome (Revelation 2:7, 11, 17, 26; Revelation 3:5, 12, 21; Revelation 21:7), to repent (of sinning by breaking God’s laws, Revelation 2:5, 16; Revelation 3:3, 19), to keep the commandments of God (Revelation 12:17; Revelation 14:12; Revelation 22:14), to withdraw from the ungodly ways of the world (typified by “Babylon,” Revelation 18:4-5) and to never compromise with obedience and loyalty to God (Revelation 20:4). In other words, one reason Christ reveals to His servants what will happen prior to His return to set up God’s Kingdom is to remind them of what they need to do in order to be allowed in!